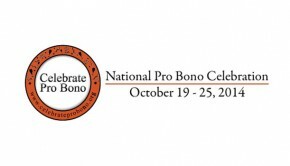 The Maurice A. Deane School of Law at Hofstra University announces a series of events for Hofstra Law students as part of Celebrate Pro Bono Week, October 20-26. The events offer students the opportunity to learn more about Hofstra Law’s extensive pro bono opportunities, including criminal law externships, the Global Legal Externship Program and the new Veterans Legal Assistance Project. In addition, the Energy and Environmental Law Society will host Janice Dean, an assistant attorney general in the New York State Office of the Attorney General’s Environmental Protection Bureau. 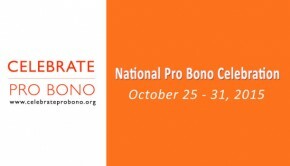 The ABA Standing Committee on Pro Bono and Public Service started the National Pro Bono Celebration four years ago due to the increasing need for pro bono services during these harsh economic times and the unprecedented response of attorneys to meet this demand. Hofstra Law alumni interested in sharing their pro bono work experience or volunteering to supervise students to work on any pro bono matters should contact Franca Sachs, executive director of pro bono, externship and fellowship programs, at franca.sachs@hofstra.edu or 516-463-0386. 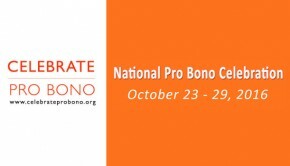 Visit Hofstra Law’s pro bono website for more information on all pro bono opportunities. Wednesday, October 23 | 4 p.m. Hofstra Law Brigades Fun Run Registration will be in the Law School Atrium from October 14-22.